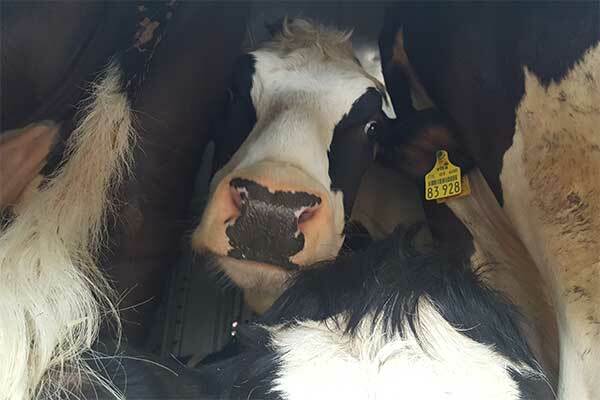 28-03-2019 Animal Transports EU Live Exports Created by Animals' Angels e. V.
Animals' Angels inspects live-exports of cattle in Germany and Poland. The debate on whether cattle from the EU may be transported to non-EU countries where there are no animal welfare laws continues. At least in theory. 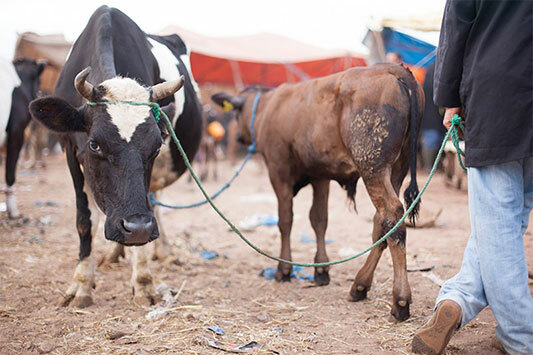 Because during our investigation we again find export transports which do not even meet the minimum standards of the EU Regulation for the Protection of Animals During Transport. That is unbelievable! The heifer Hilda, for example, was loaded in Lower Saxony, although she almost hits the ceiling of the transporter. She isn't transported to the next stable around the corner – her journey goes thousands of kilometres to Russia, over bad roads with potholes. Everyone can imagine what the low ceiling means for her and the other cows inside the transport. This transport should not have been authorised. There is a clear lack of empathy and a sense of duty towards the animals. We are frustrated to again and again find such transports. Also on the following days it does not get better: In Poland, we follow 3 trucks from Brandenburg to shortly before the Polish-Belarusian border. According to the driver the destination is Azerbaijan. On one of the trucks we see Maike. Her ear tag tells us that she originally comes from Hessen. 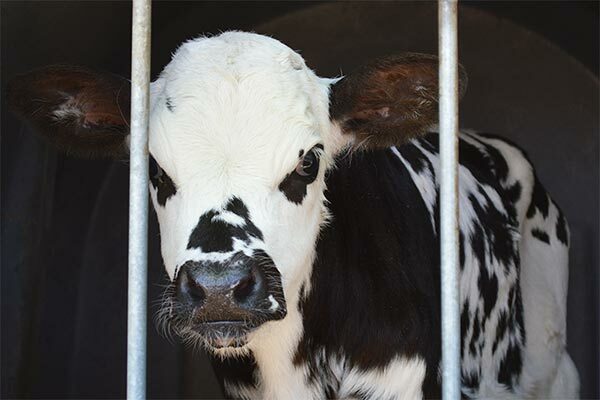 Only recently, Hessen courageously took a stand for the animals and declared a temporary export stop to 14 states. Among them also Azerbaijan. But as long as there is no common regulation for the whole of Germany, the important export stops will simply be bypassed: Animals from Hesse and other federal states with an export stop are taken to another federal state, where the official veterinarians have no problem issuing the transport documents. 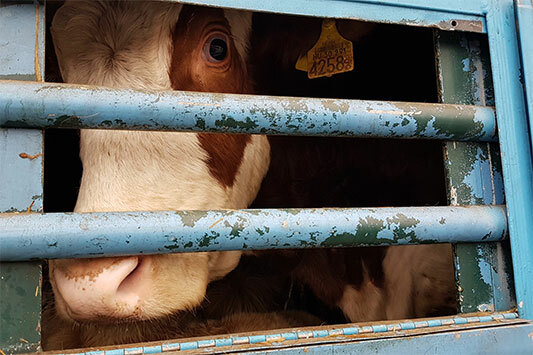 After so many years with the animals on the streets, it is incomprehensible to us that not all federal states are in favour of stopping exports. We continue advocating for Hilda, Maike and all the other animals by putting pressure on politicians and authorities with our on-site reports and evidence.